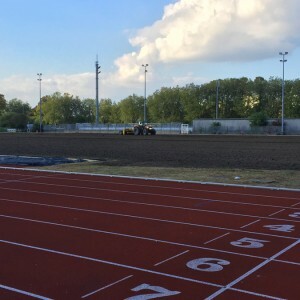 We meet on Tuesdays at the Jim Peters Stadium, within Mayesbrook Park, just off Lodge Avenue, Barking RM8 2JR. We recommend getting there at 18:45 and the warm-up starts at 19:00. There is free off-street parking close by, next to the Barking Sporthouse.  The track is 5-10 minutes’ walk from Longbridge Road, which is serviced by the 145 bus route. There is a clubhouse at the track where you’ll find toilets and changing rooms, and where you can leave a bag during the session. Afterwards we meet there for hot drinks, snacks, and a chat. Refreshments are provided free to all participants. A couple of times a year the track is closed when the club is taking part in a race. Please check with us for further details. On most Thursdays we meet for a group run out on the local roads. 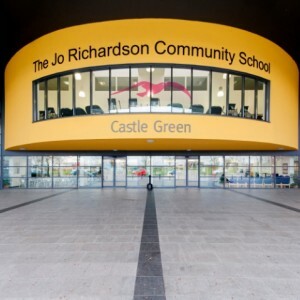 You can find us in the foyer of the Castle Green Sports Centre (based at the Jo Richardson Community School), Castle Green, Gale Street, Dagenham RM9 4UN. Please aim to arrive by 18:45 to allow time for a prompt 19:00 start. There is on-street parking adjacent to the sports centre, as well as a small car park. Becontree station, serviced by the District Line and the 145 bus route, is a ten-minute walk along Gale Street. There are toilets at the sports centre. Although there are changing rooms, our runners usually arrive already changed into their running gear. There are vending machines available for hot drinks, soft drinks, and snacks. During the summer months you’ll sometimes find us instead at Barking Park. Please check our Facebook page or contact one of our committee members for details. 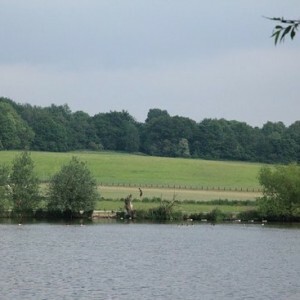 On Sundays (if we’re not racing) our members can often be found over at Hainault Forest Country Park, for a social/training run. We meet at the car park outside the Global Café, on Fox Burrow Road (off Romford Road), Chigwell IG7 4QN. We typically meet there at 09:30. There are toilets by the car park, but no changing facilities. Make sure you bring some cash for a cuppa and maybe some chips at the café afterwards!